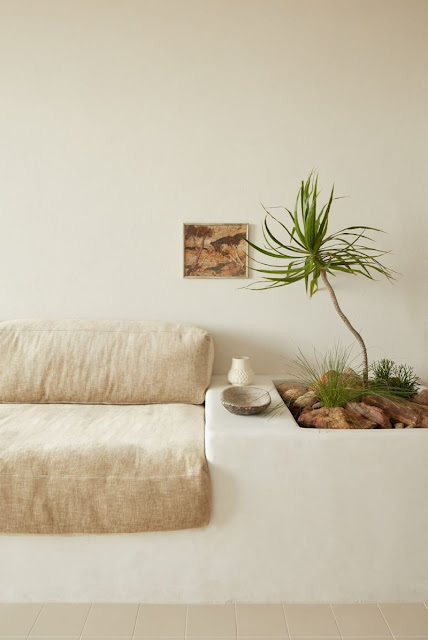 Starting the week on a relaxed note with this minimalist Australian home designed by Olivia Bossy. Love its early 1970's vibe, with an emphasis on organic forms and natural tones. See more of it here.